Thinking about a theme for a birthday party, LEGO makes a great theme that is fun, creative, and engaging for people of all ages. Let us help you plan a party and make it a fun filled event that everyone is sure to remember. We take pride in planning great events that are sure to keep kids and adults alike interested and involved. 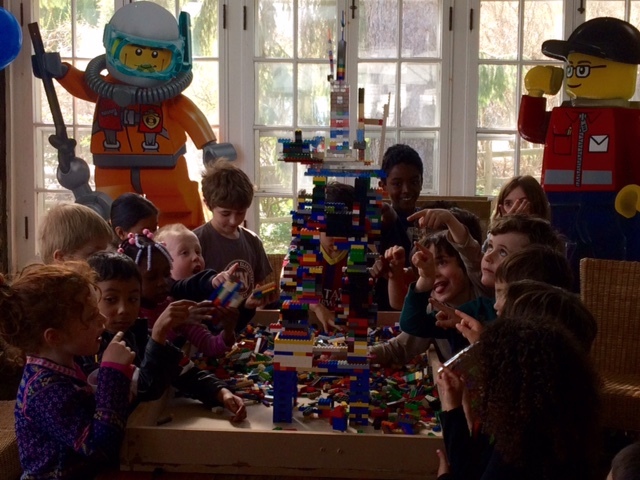 LEGO parties can be adjusted to fit most age groups and group sizes and change projects and activities depending on theme, age, and preference. We at Funny Business are excited to help you throw an amazing party. You don’t have to worry about all of the small details when you throw a lego party, simply contact us with the form to get more information or a pricing quote, and let us take it from there. We will contact you with possibilities and ideas for your party, and on the day of, leave it up to us to bring everything needed to throw a truly unique and fun party that everyone will love. We also offer special deals in combination with your party, and last but not least, we promise to clean up any LEGO pieces from the floor before we go.